Sürdürülebilir kalkınma ekonomik, sosyal ve çevresel öğelerin bir arada düşünülmesi gerektiğine vurgu yapar. Ülkelerin ve bireylerin refah düzeyi arttırılırken gelecek nesillerin gereksinimlerinin riske atılmamasını temel alır. Dünya ekonomisinin önemli sektörlerinden olan turizmin ekonomik büyümeye katkısı kabul edilmekle birlikte sürdürülebilir kalkınma söz konusu olduğunda durum çok açık değildir. Bu çalışma ile turizm hareketleri açısından dünyada ön sıralarda yer alan Avrupa ülkelerinde turizm ile sürdürülebilir kalkınma, büyüme arasındaki ilişkiler panel veri analizi ile araştırılmaktadır. 2000-2015 dönemi verilerinin kullanıldığı ampirik çalışmada sürdürülebilir kalkınma göstergesi olarak düzeltilmiş net tasarruflar, ekonomik büyüme için kişi başına düşen gelir, turizmi temsilen turist sayıları ile turizm gelirleri serilerinden yararlanılmıştır. Panel eş bütünleşme testleri sonucunda değişkenlerin eşbütünleşik olduğu kabul edilmiştir. Ardından uygulanan Panel Dinamik En Küçük Kareler (PDOLS) analizi ile uzun dönem parametreler tahmin edilmiştir. Ampirik araştırma sonuçlarına göre Avrupa ülkelerinde turizmin önderliğindeki büyüme hipotezi teyit edilmesine rağmen turist sayısının sürdürülebilir kalkınmayı negatif, turizm gelirlerinin pozitif etkilediği sonucuna ulaşılmıştır. The concept of sustainable development emphasizes a holistic approach to economic, social and environmental elements. It is based on the idea that while the prosperity of countries and individuals increases, the needs of future generations should not be put at risk. While as a major sector of the world economy, tourism’s contribution to economic growth is widely accepted, the situation is not clear when it comes to sustainable development. This study empirically investigates whether there is a relationship between tourism and sustainable development, growth in European countries which are located in front of the world in terms of tourism movements, through panel data analysis. In the empirical work used for the period 2000-2015, adjusted net savings were set as sustainable development indicators, per capita income for economic growth, as well as tourist arrivals and tourism revenues representing the tourism sector were used. The variables were taken as cointegrated as a result of the panel cointegration tests. A Panel Dynamic Ordinary Least Squares (PDOLS) analysis was then applied and long-term parameters were examined. According to the results of empirical research, although the growth hypothesis of tourism led by European countries has been confirmed, the number of tourists reached the result that sustainable development is negative and tourism incomes are positively affected. Aidt, T. S. 2011. Corruption and Sustainable Development. S. Rose-Ackerman & T.Søreide (Ed. ), International Handbook on the Economics of Corruption (pp. 3-51), United Kingdom, UK: Edward Elgar Publishing Limited. Andereck, K. L. 1995. Environmental Consequences of Tourism: A Review of Recent Research. In Linking Tourism, the Environment, and Sustainability. Annual Meeting of the National Recreation and Park Association, 77–81, General Technical Report No. INT-GTR-323. Andereck, K. L., Valentine, K. M., Knopf, R. C., & Vogt, C. A. 2005. Residents’ perceptions of community tourism impacts. Annals of Tourism Research, 32(4), 1056-1076. Al-Mulali, U., Fereidouni, H. G., & Mohammed, A. H. 2015. The effect of tourism arrival on CO2 emissions from transportation sector. Anatolia, 26(2), 230-243. Avcı, N. 2007. Turizmde Taşıma Kapasitesinin Önemi. Ege Akademik Bakış, 7(2), 485-501. Apergis, N., & Payne, J. E. 2012. 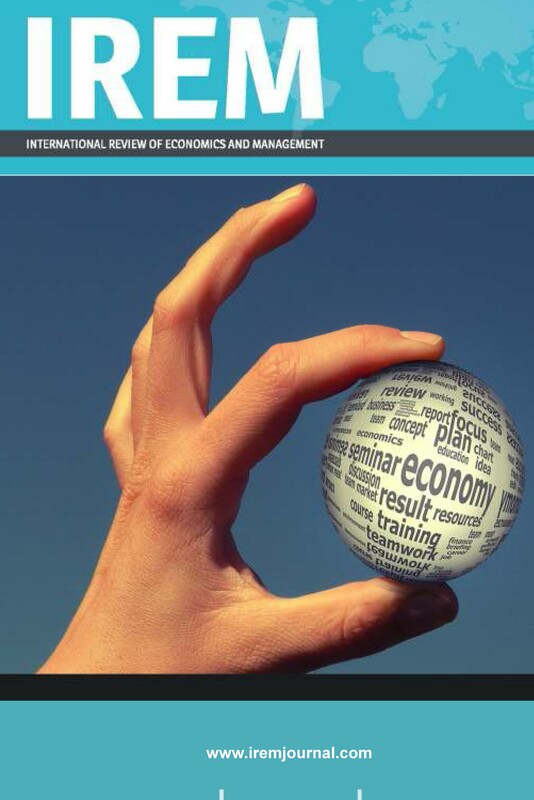 Tourism and growth in the Caribbean–evidence from a panel error correction model. Tourism Economics, 18(2), 449-456. Bahar, O. 2007. Bölgesel Kalkınmada Turizm Sektörünün Ekonomik Açıdan Yeri ve Önemi. Sosyal ve Beşeri Bilimler Araştırmaları Dergisi, 19(Güz), 1-19. Balaguer, J., & Cantavella-Jordá, M. 2002. Tourism as a long-run economic growth factor: the Spanish case. Applied Economics, 34(7), 877-884. Baltagi, B. 2008. Econometric analysis of panel data. New York, NY: John Wiley & Son. Breitung, J. 1999. The local power of some unit root tests for panel data. Discussion Paper. Berlin: Humboldt University. Chen, C. F., & Chiou-Wei, S. Z. 2009. Tourism expansion, tourism uncertainty and economic growth: New evidence from Taiwan and Korea. Tourism Management, 30(6), 812-818. Choi, I. 2001. Unit root tests for panel data. Journal of international money and Finance, 20(2), 249-272. Coldwell, W. 2017, August 10. First Venice and Barcelona: now anti-tourism marches spread across Europe. The Guardian. Retrieved from https://www.theguardian.com. Dauvergne, P. 2010. The shadows of consumption: Consequences for the global environment. Cambridge: MIT press. Demiröz, D. M., & Ongan, S. 2005. The contribution of tourism to the long-run Turkish economic growth. Ekonomický časopis, 53(09), 880-894. Dritsakis, N. 2004. Tourism as a long-run economic growth factor: an empirical investigation for Greece using causality analysis. Tourism Economics, 10(3), 305-316. Eusébio, C., Kastenholz, E., & Breda, Z. (2014). TOURISM AND SUSTAINABLE DEVELOPMENT OF RURAL DESTINATIONS: A STAKEHOLDERS’VIEW. Revista Portuguesa de Estudos Regionais, (36), 13-21. Eugenio-Martin, J.L, Morales, N.M, & Scarpa, R. (2004). Tourism and economic growth in Latin American countries: A panel data approach.The Fondazione Eni Enrico Mattei Note di Lavaro Series İndex. Fayissa, B., Nsiah, C., & Tadasse, B. (2008). Impact of tourism on economic growth and development in Africa. Tourism Economics, 14(4), 807-818. Garrod, B., & Fyall, A. 1998. Beyond the rhetoric of sustainable tourism?. Tourism management, 19(3), 199-212. Ghali, M.A. 1976. Tourism and Economic Growth: an empirical study. Economic Developement and Cultural Change. 24(3), 527-538. Goldin I. & Winters L.A. 1995. The Economics of Sustainable Development. Cambridge, MA: University Press, . Gollier, C. 2002. Discounting an uncertain future. Journal of Public Economics, 85(2), 149-66, doi:10.1016/S0047-2727(01)00079-2. Gössling, S. 2002. Global environmental consequences of tourism. Global environmental change, 12(4), 283-302. Granger, C. W., & Newbold, P. 1974. Spurious regressions in econometrics. Journal of Econometrics, 2(2), 111-120. Gunduz, L., & Hatemi-J, A. 2005. Is the tourism-led growth hypothesis valid for Turkey?. Applied Economics Letters, 12(8), 499-504. Hatemi-J, A. 2016. On the tourism-led growth hypothesis in the UAE: a bootstrap approach with leveraged adjustment. Applied Economic Letters, 23(6), 424-427. Holzner, M. 2011. Tourism and economic development: The beach disease?. Tourism Management, 32(4), 922-933. Im, K. S., Pesaran, M. H, & Shin, Y. 2003. Testing for unit roots in heterogeneous panels. Journal of Econometrics, 115(1), 53-74. Jin, J. C. 2011. The effects of tourism on economic growth in Hong Kong. Cornell Hospitality Quarterly, 52(3), 333-340. Kao, C. 1999. Spurious regression and residual-based tests for cointegration in panel data. Journal of Econometrics, 90(1), 1-44. Kao, C., ve Chiang, M. H. 2000. Testing for structural change of a cointegrated regression in panel data. Syracuse University. Manuscript, 24p. Katircioglu, S. T. 2014. International tourism, energy consumption, and environmental pollution: The case of Turkey. Renewable and Sustainable Energy Reviews, 36, 180-187. Kaypak, Ş. 2011. Küreselleşme Sürecinde Sürdürülebilir Bir Kalkınma İçin Sürdürülebilir Bir Çevre. Karamanoğlu Mehmetbey Üniversitesi Sosyal Ve Ekonomik Araştırmalar Dergisi, 1, 19-33. Lanza, A., Temple, P., & Urga, G. (2003). The implications of tourism specialisation in the long run: an econometric analysis for 13 OECD economies. Tourism Management, 24(3), 315-321. Lee, H., Verances J.B., & Song W. 2009. The tourism-environment causality. Int J Tourism Sci., 9, 39–48. Leitão, N. C., & Shahbaz, M. 2016. Economic Growth, Tourism Arrivals and Climate Change. Bulletin of Energy Economics, 4(1), 35-43. Levin, A., Lin, C. F., & Chu, C. S. J. 2002. Unit root tests in panel data: asymptotic and finite-sample properties. Journal of econometrics, 108(1), 1-24. Lew, A. A.2011. Tourism's role in the global economy. Tourism Geographies, 13(1), 148-151. Maddala, G. S. & Wu, S. 1999. A comparative study of unit root tests with panel data and a new simple test. Oxford Bulletin of Economics and statistics, 61(S1), 631-652. Mankıw, N.G. 2016. Principles of Economics (Eigtheen ed.). Boston, USA: Cengage Learning. Marin, D. 2015. Study on the economic impact of tourism and of agrotourism on local communities. Research Journal of Agricultural Sciences, 47(4), 160-163. Mathiesson, A. & Wall, G. 1989. Tourism economic, physical and social impacts. United Kingdom, UK: Longman. Mishra, P.K., Rout, H.B., & Mohapatra, S.S. 2011. Causality between tourism and economic growth: Emprical evidence from India. European Journal of Social Sciences, 184(4), 518-527. Pearce, D.W. & Atkinson G.D. 1993. Capital theory and measurement of sustainable development: an indicator of “weak” sustainablility. Ecological Economics, 82(2), 103-108. Pedroni, P. 1999. Critical values for cointegration tests in heterogeneous panels with multiple regressors. Oxford Bulletin of Economics and Statistics, 61(s1), 653-670. Pedroni, P. 2004. Panel cointegration: asymptotic and finite sample properties of pooled time series tests with an application to the PPP hypothesis. Econometric theory, 20(03), 597-625. Putnam, R. 1995. Bowling Alone: Americans’s Declining Social Capital. Journal of Democracy, 6 (1), 65-78. Rosenow, J. & Pulsipher G. 1979. Tourism: The Good, the Bad and the Ugly. Kansas City: Media Publishing. Salonia, P. 2016. Tourism, Migration, Heritage, Culture, Inclusion: Recovering the Memory of Ourselves for the Sustainable Cities and the Society of the XXI Century. Procedia-Social and Behavioral Sciences, 223, 668-675. Sharif, A., Afshan, S., & Nisha, N. 2017. Impact of tourism on CO2 emission: evidence from Pakistan. Asia Pacific Journal of Tourism Research, 22(4), 408-421. Sharpley, R. 2000. Tourism and Sustainable developement: Exploring the theoretical divide. Journal of Sustainable Tourism, 8(1), 1-19. Sharpley, R. 2009. Tourism Development and the Environment: Beyond Sustainability?, London, UK: Earthscan. Stock, J. H. ve Watson, M. W. 1993. A simple estimator of cointegrating vectors in higher order integrated systems. Econometrica: Journal of the Econometric Society, 61(4), 783-820. Tang, C. F., & Abosedra, S. 2014. Small sample evidence on the tourism-led growth hypothesis in Lebanon. Current Issues in Tourism, 17(3), 234-246. Tatoğlu, F. Y. 2013. Panel veri ekonometrisi. Istanbul, Turkey: Beta Yayınevi. United Nations World Tourism Organization-UNWTO. 2017. Tourism Highlights. 2017 Editions, Madrid: UNWTO, https://www.e-unwto.org/doi/pdf/10.18111/9789284419029,(Erişim Tarihi: 12.09.2017). United Nations World Commission on environment and developement -UNWCED. 1987. Our common future, New York, NY: Oxford University Press. Weitzman, M. L. 1998. Why the Far-Distant Future Should Be Discounted at Its Lowest Possible Rate?. Journal of Environmental Economics and Management, 36(3), doi:10.1006/jeem.1998.1052. Weitzman, M. L. 2001. Gamma Discounting. American Economic Review, 91(1), 260-271. Witheley, P,F.2000. Economic Growth and Social Capital. Political Studies, 48, 443-466.